Dan Gleason of Fredericton, N.B., has experienced bouts of loneliness. He called into Checkup to share how he copes with the social isolation he’s felt since his wife’s passing over six years ago. For Dan Gleason of Fredericton, N.B., bouts of loneliness are a common thing. But the feeling of isolation, he said, is deepest at the dinner table. "I turn on the TV in order to take my mind off of being alone when I'm eating," he said. "I used to like some type of interaction over food." Gleason has two adult children who live in different cities. 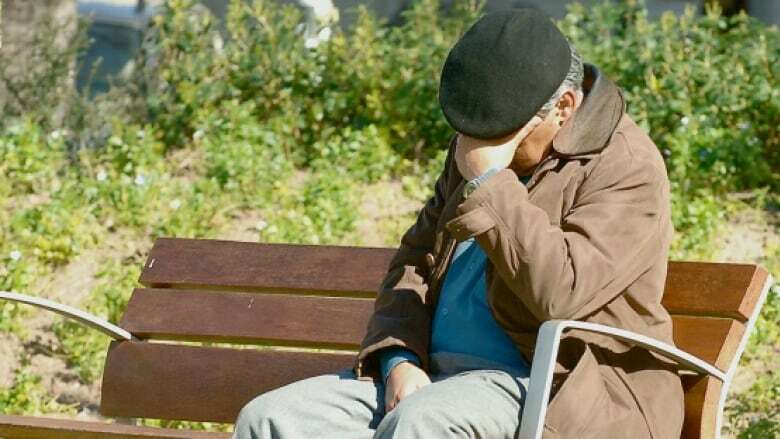 He's been living alone for over six years, since losing his wife in a traffic accident. He said there are days when he doesn't have any social interactions. "I'm aware of my desire for social contact, but I'm also not really doing anything to change it." Gleason told Checkup host Duncan McCue how he copes. Duncan McCue: I understand you live alone, Dan. Dan Gleason: Yes, I do. I've lived alone for over six years now. My wife was killed in a traffic accident here in Fredericton. DM: I'm sorry to hear that. DG: My two adult children, one lives in Halifax, one lives down in Washington, D.C., and I go to visit them, but I choose to live alone. I like it here very much. And I'm ambivalent. I'll put it like that. I am aware of my need for social contact. Today, I didn't have any social contact except that I went out snowshoeing and talked to a couple of people and then yesterday, I did some shopping, but I didn't have any contact with friends. But I also see that there are some positive things about living alone. You have freedom, you have independence. You have, maybe, the lack of complications that you might have with a social interaction. So, I'm aware of my desire for social contact, but I'm also not really doing anything to change it. DM: There are absolutely benefits to solitude as well, for sure. Being alone isn't necessarily equivalent to loneliness. But I wonder, do you ever experience that loneliness? DG: I guess I'm aware of it when eating alone, for sure. Live alone means eating alone. DM: Why eating alone? Why does that seem to exacerbate it? DG: I used to like some type of interaction over food and well, I turn on the TV in order to take my mind off of being alone when I'm eating, that's for sure. DM: And so here's the thing. You're not alone. The statistics for people living alone have just risen dramatically. I'm looking at them now. In 1951, there were 7 per cent of Canadian households were one person households, in 2016, 27 per cent—one in four are one person households. More and more people are living on their own and I wonder if that has something to do with the loneliness. DG: Yeah, I think so. There are senior centres here in Fredericton—a couple. I have gone to both of them and there is one in particular that I have to say is very helpful to me. I've gotten involved in doing some woodworking and I don't have any background in that, but there's a project I'm doing and the places were very well equipped and the people who go there are very helpful. I tell them about my project, what I want to do and they tell me what machines I should be using and how to use it. That's an involving, positive thing for me. I admit there are services that I do benefit from. I'd say one thing that I might benefit from is just some type of health counselling. You talk about government doing something, well maybe I should use some of that type of thing if it existed. DM: So do you think the government should get involved as they have in the U.K.? DG: I think that would be a helpful thing for me. I can define that as something that I think is probably a public service in a field of let's say mental health, as opposed to physical health, that the government could help out on.